Refund of tuition, general fees, and technology fees for a student who drops a course, or all courses, or a student who is dismissed or suspended, is made in accordance with the refund policy.  All application fees, enrollment fees, and special fees are non-refundable. A student who officially or unofficially drops or withdraws from a course, or all courses, before the eighth day of class will be refunded the total tuition and other institutional charges. (Please note, within the 16-week course period, the first week is set aside for processing and shipment of course materials).